Essential to life, water, in all its compositions, forms and qualities, is a precious element for the entire planet and for each one of us. 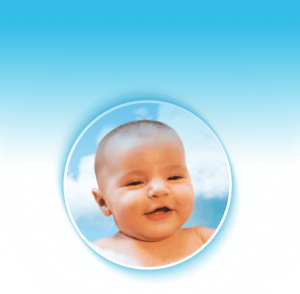 According to age, our body is made up of 50-70% water and in babies the percentage can sometimes be up to 75%. For a proper water exchange and a daily hydration balance, the average requirement for an adult is about 2 or three litres a day. We can say that if water is the source of life, then the quality of our life depends on the quality of the water we drink. There are many types of water, each one special, each one different. 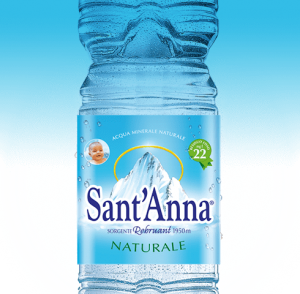 Sant’Anna Water is the natural mineral water most loved by Italians, also chosen in Europe and in the rest of the world, because it is a good water to drink and has values that distinguish it, also making it good for our bodies. Based on tastes and listening to wellness desires and health needs, we carefully select the origins and the ingredients of that which we eat every day. Water is absolutely the sustenance with which we nourish ourselves the most in our lives and it must be chosen since all water is not the same. There is not one water source on the planet that is equal to another. The chemical analyses regarding the composition have shown that in Italy we have some of the best natural mineral water springs in the world. 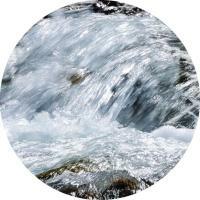 Furthermore, Sant’Anna stands out, thanks to the water’s sensory qualities of its spring water. Sant’Anna was also the first in Italy to compare the analyses of the main water sources and, due to its properties of clarity (reiterated by the continued testing), Sant’Anna has become the water leader in Italy. The complete line of Sant’Anna natural water originates in the deep Riofreddo valley from the Rebruant springs in Vinadio. 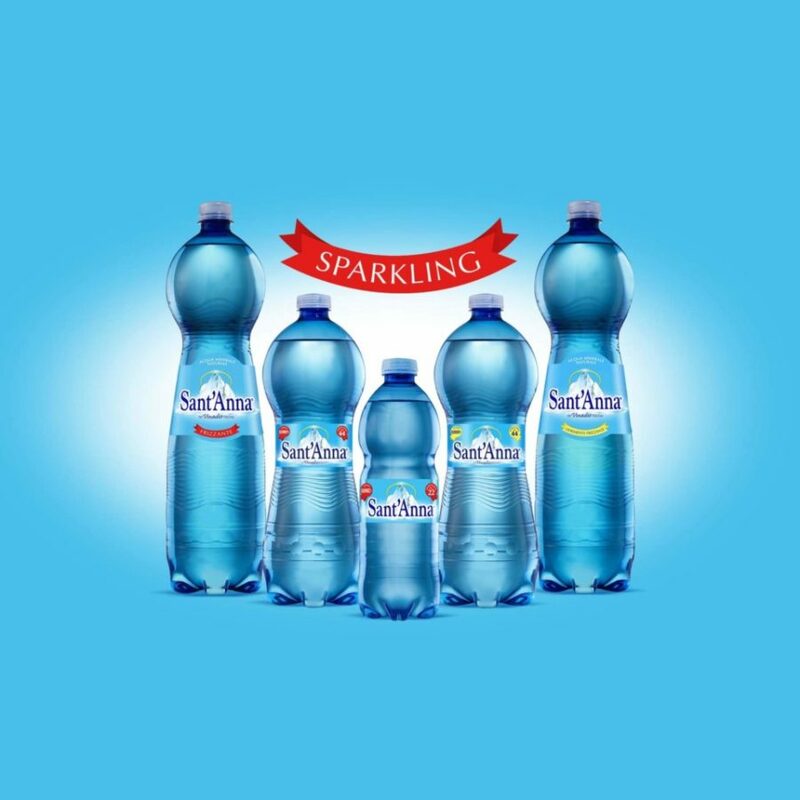 The complete line of Sant’Anna sparkling water originates in the deep Riofreddo valley from the Rebruant springs in Vinadio. Click on each label to enlarge. Tap on each label to download. Sant’Anna has always promoted the transparency of values on their label, also explaining how to read it, allowing everyone to know, understand and choose the quality of water that we want to drink. The lower the fixed residue, the lighter the water. Fixed residue refers to the amount of mineral salts dissolved in the water. Imagine bringing water to a boil at 100° Celsius and subsequently drying it by heating at 180°. That which remains after the evaporation is the fixed residue. Natural mineral waters are classified on the basis of the amount of fixed residue. It varies from those rich in minerals (>1500 mg/l) to medium mineral content (from 501 to 1500 mg/l), to oligomineral composition (between 50 to 500 mg/l). In order for the water to be considered as having a minimal amount of minerals, the fixed residue must be less than 50 mg per litre. Minimally mineralized waters are light waters (meaning their mineral salt content is low), that stimulate diuresis and are easy on the kidneys; they are ideal for everyday consumption and are suitable for the formula preparation for newborns. We are one of the lightest waters in the world. 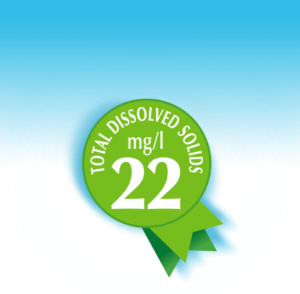 Sant’Anna natural mineral Rebruant spring water has a VERY LOW FIXED RESIDUE COUNT: 22 mg/l. It is a lightly mineralized water, suitable for the preparation of formula for newborns and is extremely light. Nitrates are stable salts that are present in mineral waters as well as in vegetables and meat. High concentrations and values of Nitrates in the water reveal a possible presence of pollution in the land, the air and the environment surrounding the source. According to law in Italy the security limit of nitrates in drinkable water must be less than 45 mg/l. The closer the value is to zero, the purer the water is defined. We are one of the purest and least contaminated waters in the world. 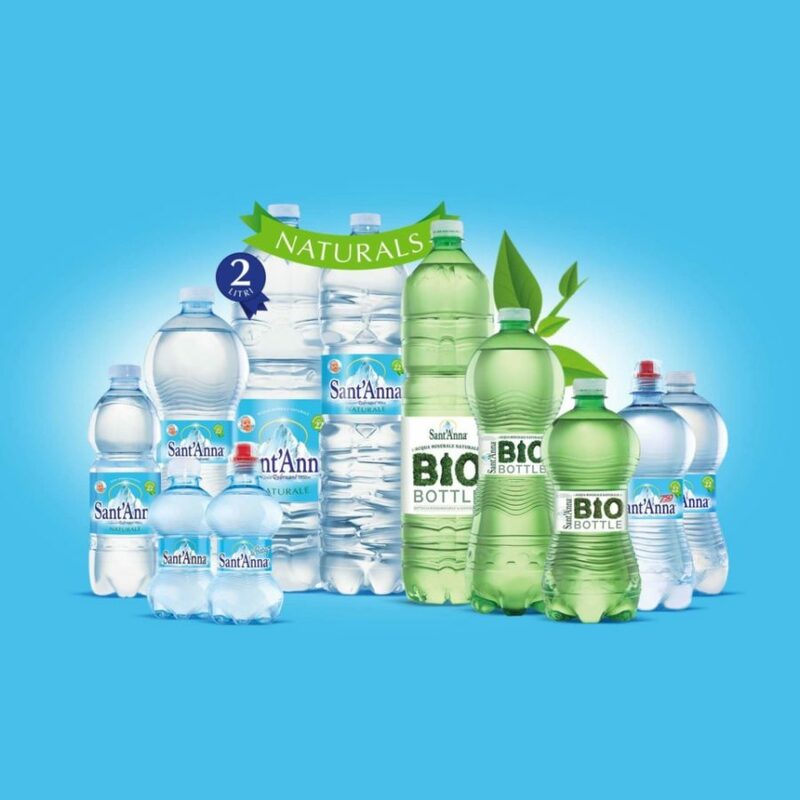 Sant’Anna natural mineral Rebruant spring water has among the lowest amount of NITRATES: 0.81 mg/l. Sant’Anna Water originates at a high elevation, in an uncontaminated area; its Nitrate value is the lowest among Italian waters. The lower the sodium content, the better the water for daily consumption. Sodium is a fundamental value for a good metabolic balance and should be ingested in the right amounts. High sodium waters with sodium levels higher than 200 mg/l are suggested for those who play sports. 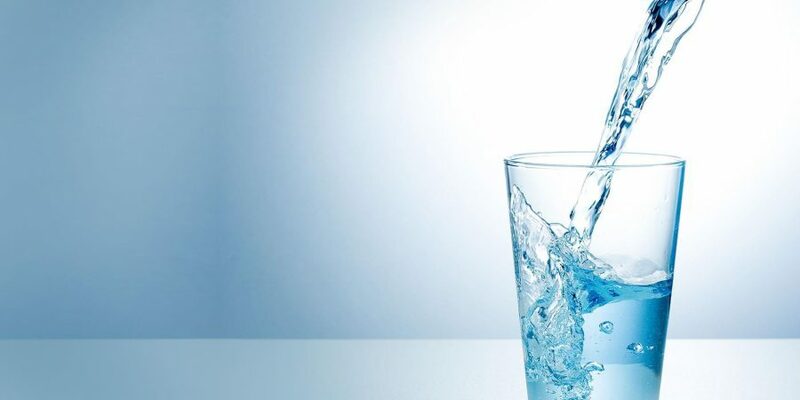 Water with low sodium content (less than 20 mg/l) is recommended for daily requirements, weight loss diets, high blood pressure sufferers and is also ideal for facilitating drainage and diuresis. Very low sodium: we are recommended for low sodium diets. 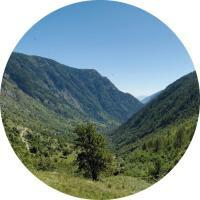 Sant’Anna natural mineral Rebruant spring water is very low in sodium: 1.5 mg/l. It is recommended for sodium-reduced diets and for proper kidney functioning. The lower the hardness, the softer the water. Hardness is expressed in French degrees and indicates the total amount of calcium and magnesium salts in the water. A high amount signals the presence of calcareous elements, harmful to liver and kidney functioning. 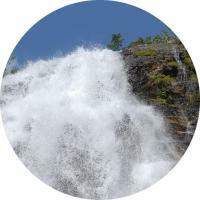 The taste of the water can also be determined by a medium or high level of hardness. 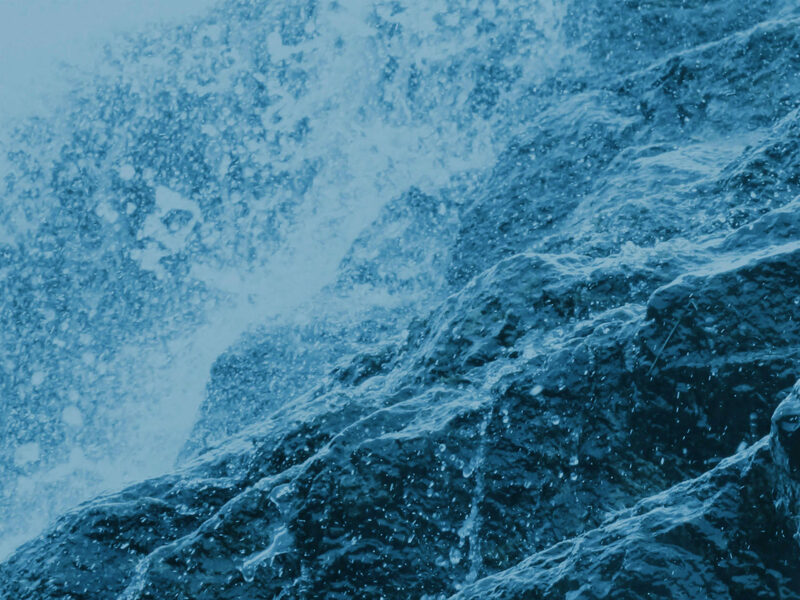 On the basis of hardness values, waters are distinguished in the following categories: very hard (30 °and above), hard (20 – 30 °), moderately hard (10 – 20 °) and soft (from 0 – 10 °). Very low hardness: we are one of the softest and most digestible waters in the world. Sant’Anna natural mineral Rebruant spring water has very low hardness: 0.9° F. It is an extremely soft and digestible water. Loved by children and mums. Water is the source of all life, it is the substance we need most, every day and at any age to maintain good health. All of our bodies’ physiological processes are carried out thanks to the water we drink: digestion, absorption, transportation and the use of nutrients, minerals, water-soluble vitamins, amino acids, even glucose. Also, water is involved in regulating body temperature and keeping skin and mucous firm and elastic; it acts as a lubricant and a buffer in joints and tissues and eliminates waste, assuring the proper consistency of stools and urine. Water grants us wellness and beauty at every moment but needs to be reintegrated continuously with the most natural gesture in the world: drinking. 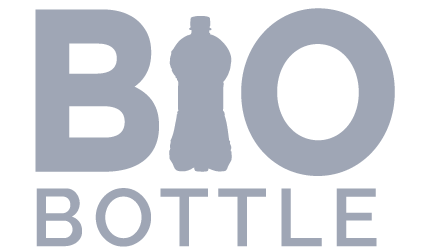 Remembering to drink often, without waiting to feel thirsty, is essential for everyone especially for the elderly, pregnant women, mums and children, as their bodies may warn them late that they require hydration or they are unable to express the need. Sant'Anna water, recommended for feeding newborns. 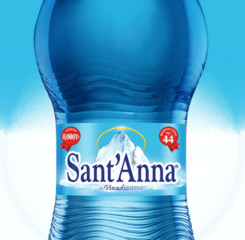 Sant’Anna Water, with its lightness and its optimum sensory qualities is perfect for drinking any time of the day. Furthermore, its proper mineral balance makes it ideal for mixing formula milk for newborns if there is a lack of breast milk, and for the preparation of solid foods during the weaning phase.